In the gallery to the right of the entrance at Designmuseum Danmark in Copenhagen is a new display of reclining chairs from the collection. A recliner tends to be a rather special piece of furniture anyway - much larger than an armchair and requiring more space it tends to be a “look-at-me” piece in any room - but here in the gallery, placed together but given space, they become dramatic sculptures particularly as the museum has picked up the display design used for the current Mindcraft15 exhibition with full-length mirrors on the side walls and spot lights rather than a more general lighting so there are dramatic shadows. Curiously the furniture gains. 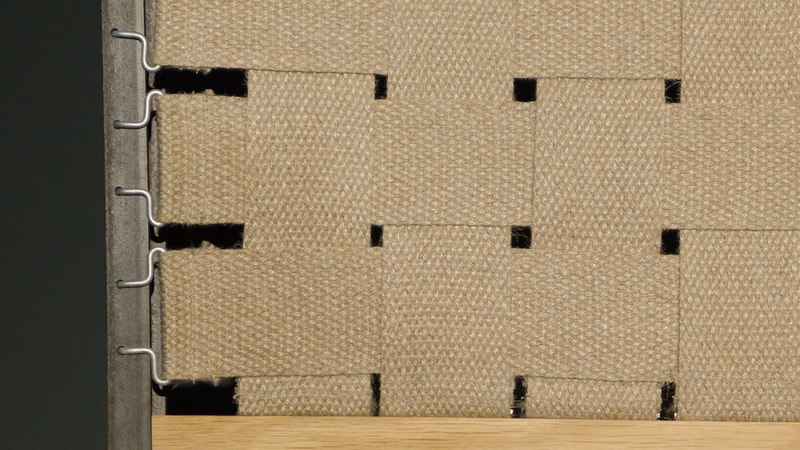 You obviously see the importance of shape, silhouette and line - these pieces are very elegant - and you can see just how well made they are and also appreciate how carefully most of the pieces use texture and contrast with woven seating wrapped around steel or woven linen across a wood frame. These really are virtuoso pieces of furniture.